Our online sensor survey 2004: What Do You Use Most ? is coming to its final stage. One month remains before it will be closed and we will have very good statistics and basis for the future prediction. Many thanks to all our IFSA members and visitors who take part and answer for one important question. But the most interesting things is that our online survey becomes now a mini forum with an interesting discussion what is better: frequency or voltage output ? There is not only answer for the main question what do you use most, but also some interesting suggestions, comments and opinions. You can see it all as well as add your own opinion by visiting http://www.sensorsportal.com/HTML/Polls.htm Click the 'view results' and than 'comments'. All these were an impact to write this editorial article 'Sensors and Transducers: Frequency Output Versus Voltage Output' with aim to analyse main benefits and demerits of frequency-time sensor's output. 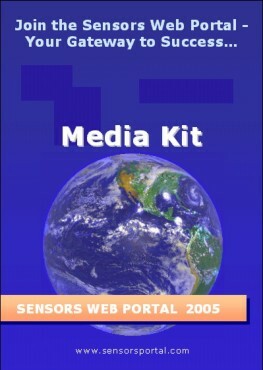 CAN in Automation (CiA) has published a free-of-charge brochure about sensors that are connected via a CAN-based network. Aspects discussed are: standardization of sensor profiles, integrated CAN interface in sensors, CAN-based higher-layer protocols such as CANopen and DeviceNet. Sensors & Transducers Magazine (e-Digest), Vol.51, No.1, January 2005, Special Issue: Sensor Instrumentation, DAQ Systems and Virtual Instruments. Research and applications articles, cover story, reviews are welcome. The following Lists of Sensors Manufacturers were updated.